Introducing the UP2. Images courtesy of Jawbone. 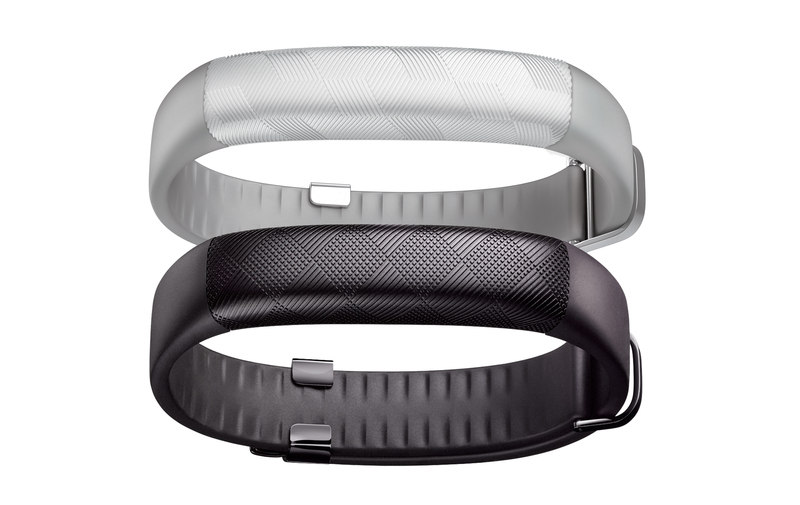 Last week Jawbone released the newest addition to its popular fitness wearable line, UP2. At $99, the UP2 is one of Jawbone’s cheaper wearables, but that doesn’t mean it’s short on value. Although it’s designed to be an entry-way into the fitness tracking world, the UP2 comes with all features you’d expect from a Jawbone tracker. It still automatically tracks your activity and sleep, and the app still provides a relatively easy way to log what food you eat. It’s also still shower-resistant, so you can wear the band 24/7. The new UP2 comes in two different colors and styles. The UP2 also has Smart Coach, which learns your habits and suggests ways to live a healthier, more productive life. For example, if it notices that you take more steps when you go to sleep earlier, it will prompt you to set a goal of going to bed a little earlier that day. Talk about using data to make you a better version you! In addition to the UP2, Jawbone announced the upcoming UP4. The tracker, which will retail this summer, has the same features as the UP3, including heart rate monitoring. Jawbone is also partnering with American Express to bring a tap-to-pay feature the tracker, the first fitness wearable to do so. To learn more about the entire UP line, check out Jawbone’s website.